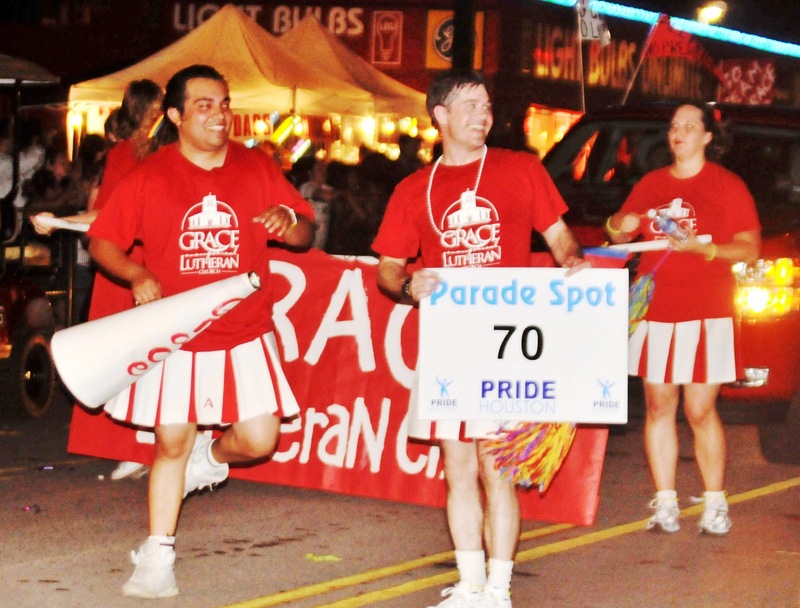 June is National LGBT Pride Month, and at Grace, we love to celebrate! At Grace we believe that God loves every single one of God’s chil-dren, and nothing, nothing, nothing you can do, be, say, think, feel, or anything, will ever -ever- change that! And this means that God loves all of God’s Lesbian, Gay, Bisexual, Transgender, Queer, Intersex, Questioning, etc, children every bit as much as all of God’s straight children. And we love to tell that good news! This year it feels as important as ever to proclaim God’s love for all God’s children loudly, from the rooftops! We’ve had good news, nationally, for LGBTQ people this year, but we’ve also witnessed some horrid, hateful things said from a few fringe churches. It’s time to get out there and make sure Houston knows that many people of faith are full of love and welcome. One of my favorite ways to do this is the Pride Interfaith Service. People of all faiths-and I do mean all faiths come together every year to worship and display the unity and welcoming of all people. This year I’m excited that the Pride Interfaith Service will actually be on the anniversary of the Stonewall Riots; the defining event that marked the start of the gay rights movement! The 2012 Pride Interfaith Service will be hosted by the Cathedral of Hope Houston and St. John UCC. Please join Grace, and peo-ple of many faiths, on Thursday, June 28th, at 7:15pm, at 4606 Mangum Road, Houston TX. 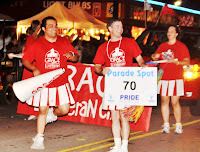 Of course, we will also dance in the Pride Parade! There is nothing like having 200,000 happy people cheering for you, come out an experience it! Grace will participate under the theme “Circus,” this year, welcoming all people to our “Big Tent.” Come dressed as your favorite circus performer acrobat or bearded lady, lion or bear! a great way to show our welcome. You are beautifully and wonderfully and fabulously made! God loves you! Let’s celebrate!